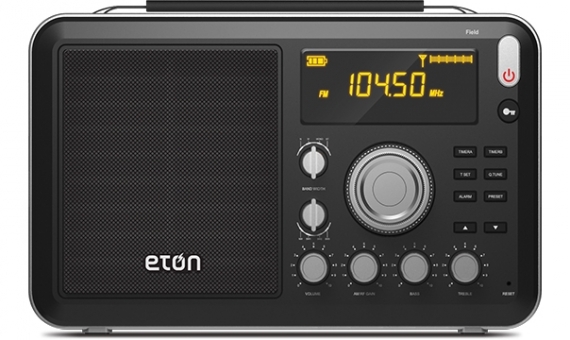 The Eton Field is the latest large footprint portable in the Eton/Grundig product line (previous models included the S450DLX and S350). The Field sports a large front-facing speaker, built-in hand strap and simple controls. New to this model is RDS (Radio Data System) on the FM band. The Eton Field will be available at retailers by July 14, 2014. 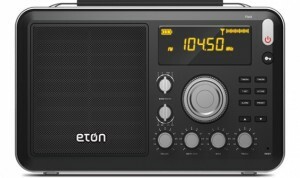 This entry was posted in Eton, Grundig, Portable and tagged Eton, Eton Field, Field, Portable, RDS. Bookmark the permalink.